After some murmurings on social media, it appears Disney has gone public with some major adjustments to park policies, including the removal of smoking areas within parks and the adjustment of park policies related to stroller size, stroller wagons and loose ice. All changes become effective starting May 1. Beginning May 1, guidelines on stroller sizes will be adjusted, requiring them to be no larger than 31″ (79cm) wide and 52″ (132cm) long. Many strollers on the market, including many double jogging strollers, fit within these size guidelines. Disney will also begin strictly enforcing their “no wagons” policy. Beginning May 1, stroller wagons will also no longer be permitted. These updates are designed to help guest flow and ease congestion, making the parks more enjoyable for everyone. Designated smoking areas will be available outside the entrances of the areas listed above and at Disney Springs in Florida. For guests who have room or dining reservations, smoking areas are also available at Disney Resort hotels. Beginning today, if guests plan to bring a cooler or cooler bag to store snacks and drinks for theme park or water park adventures, it’s important to know that loose or dry ice are no longer permitted in Disney parks. Re-useable ice packs will be permitted. For additional information about these updates, you can visit the FAQs section at DisneyWorld.com/RulesFAQ and Disneyland.com/RulesFAQ. I love this. I cannot stand when vapors think that they are not considered smoking. 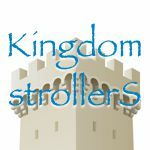 I also love that the strollers will be single width and shorter. People do not understand that they are a nuisance to others. are you sure its a cat? I think these changes are welcomed and long overdue for the smoking restrictions. So many times I’ve been stuck behind a slow-moving mass to have some rude person in front of me blow second-hand smoke in my and my children’s faces. If airports can confine people to cancer caves, so can Disney! Well this is just one more reason for me to boycott Disney!!! It’s a damn shame you can’t go somewhere and enjoy yourself for some asses wanting to make it hard for you to do so. As much as they charge you to get into the place you should be able to smoke in a designated area other than having to walk back outside the gate. This is discrimination!!!!!! Stop trying to take our rights! If we wanna smoke, we’ll smoke! If outside, it is IMPOSSIBLE for smoke to “cause damage”. America is gettin too dang sissified! If Disney thinks this is going to stop people from smoking inside their parks, they got another thing coming. I vape in the designated area, but now I will just find some other place inside the park to do so. Sure you will, Robert. Because you are such a baby that you cannot follow simple rules says what kind of man you are. Be a man of integrity, please. America needs more role models. Yep just see about that “another thing coming” when they catch you and ban you from every park associated with the Walt Disney company because your measly loss of profit will sure hurt them in the long run. Hell that alone makes me want to buy an annual pass so I can be there to see it. https://www.cdc.gov/tobacco/data_statistics/fact_sheets/secondhand_smoke/general_facts/index.htm#what I have had two grandparents die to lung cancer from smoking. No amount of second hand smoke is safe. Be respectful of others and don’t force them to breathe your toxic smoke. I am curious about the loose ice thing. Do you know why this would be banned? The strollers and smoking sections are pretty self-explanatory. It’s to help speed up bag check. So security doesn’t have to sift through ice. It is fine if you put it in zip lock bags. Just trying to speed up bag check. Exactly! People are clueless about the massive crowds expected when Galaxy Land opens at both parks. They are preparing for this exact thing. The ice ban is probably because in the past people have made dry ice bombs, and since it us hard to sometimes tell the difference, disney decided to ban all ice from being brought into the parks. Disney should also look into large backpacks. Standing in line is just awful, going thru fast pass lane and guests sitting on railings with backpacks block lanes . Getting thru crowds is hard too when you have backpacks hitting you in every direction. About time the wagons and strollers got restrictions and the coolers too I was tired of always trodding through the slush people would just dump at leisure on the sidewalk and getting around a corral of RV sized strollers at rides was very annoying so great job Disney. Smoking should have been banned years ago when it was removed from malls, hospitals, and all other public places. If you can’t go a day without smoking for your family’s fun day then stay from the parks because I don’t want to breathe your second hand smoke either. My wife has asthma. I hope the designated smoking areas will be far enough away from the park entrances and security check areas so that we don’t have to breathe the smoke.